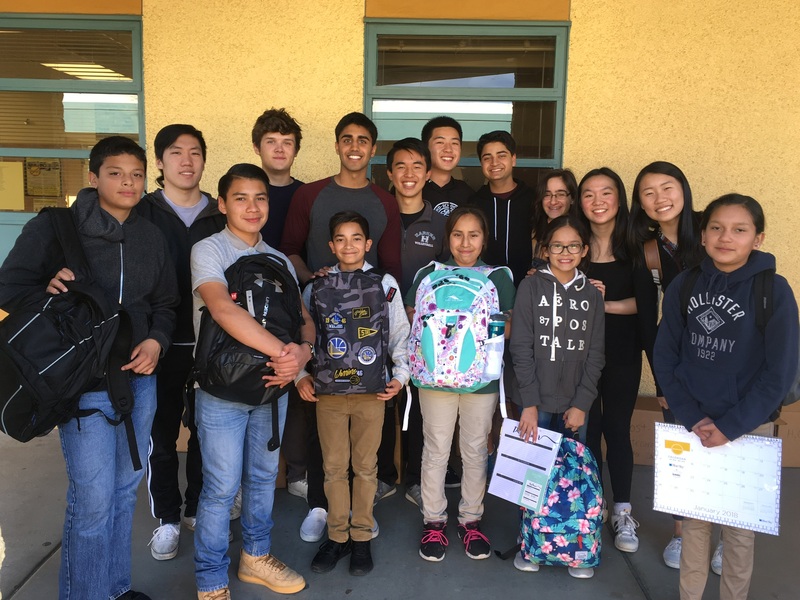 Earlier this week, upper school students donated backpacks and school supplies to children from low-income families at East San Jose’s Ocala Middle School. More than 40 backpacks were dropped off at the school, along with pencils, pens, notebooks, binders, reusable water bottles and other supplies. The initiative was led by three students: Andrea Simonian, grade 11, came up with the idea and organized the project; senior Amitej Mehta set up the donation through his mother Nivisha’s connection with the Alum Rock Counseling Center, which assists local low-income families; and junior Kelsey Wu managed logistics to ensure the effort went smoothly.